This magnificent floor places 1st for the month of September. 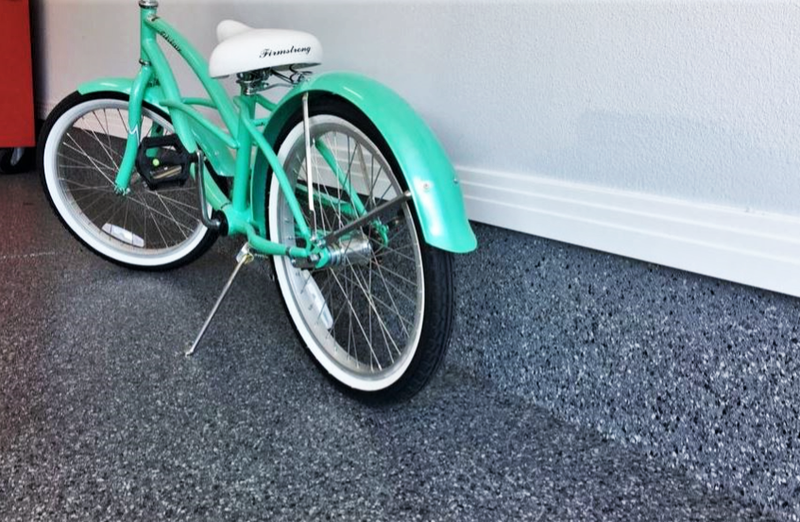 Daynan from Go Epoxy used the Roll on Rock system in ¼” Nightfall flake against a white baseboard for contrast. The 5108 Polyaspartic was used as a final topcoat which is chemical, abrasion & UV resistant to give a high shine finish. Can’t wait to see your next masterpiece Daynan!